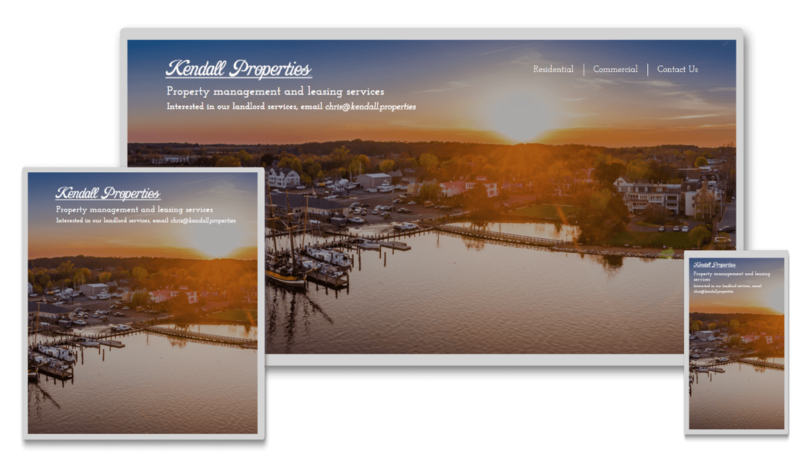 Kendall Properties, LLC is a property management and leasing company located in Kent County, Maryland. Being a client that we had already done work with prior, the opportunity came up to create a small website to feature their properties available for lease. Our task was to create an elegant, interesting experience with a minimal amount of content. 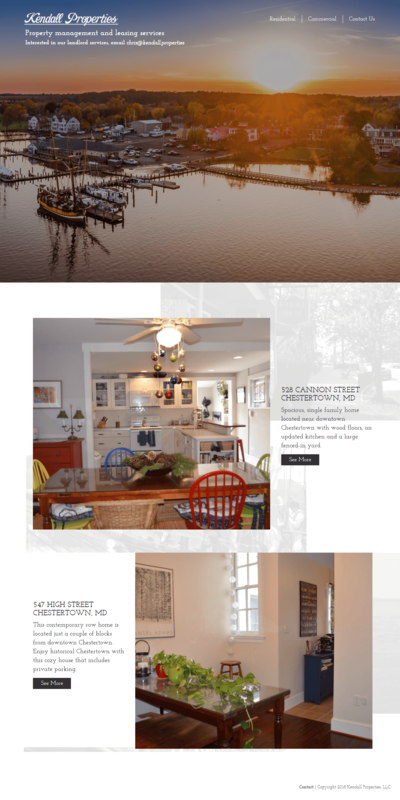 By adding a parallax effect (where one element scrolls at a different speed than another) containing background images of the town and local area, we were able to create a home page that is interesting, dynamic, and keeps you scrolling! In addition to the parallax effect on the home page, the images of the properties are dynamic – meaning that they will change each time someone visits the website ensuring a new experience with every visit! Also, we set up a simple, easy to manage administrative area of the website for our client and their staff to be able to add, edit, and remove properties when necessary.